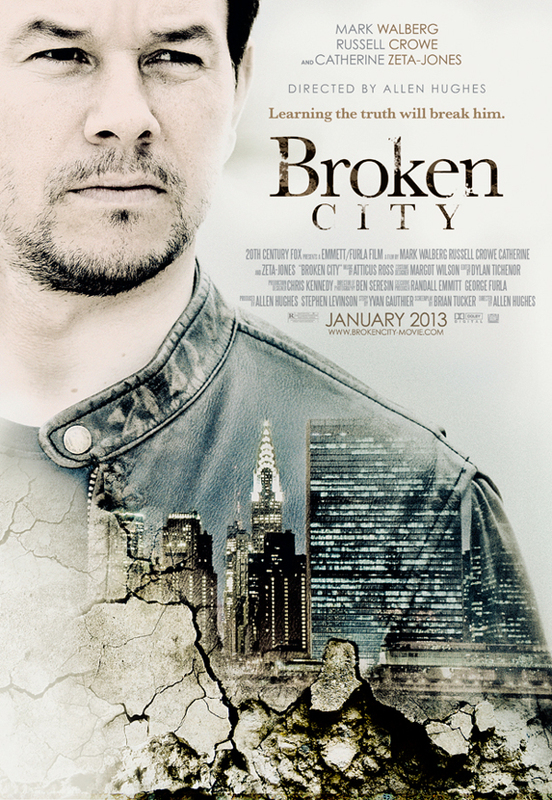 The social atmosphere in which Broken City finds itself upon release is one marked by a general antipathy towards the political sphere with the presidential elections in the US having recently concluded. The raw animosity and bitterness among politicians is, in some respects, infectious, especially after having been subjected to nearly an entire year of campaigning. It seems only natural that a film which centers around political conflict may wish to capitalize on American sensibilities during such a time. The denunciation of the whole “it’s legal if you don’t get caught” attitude of politicians is, although painfully safe, a sentiment that the vast majority of moviegoers can get behind. Rejoining the cinematic fray after 3 years of inactivity is Book of Eli director Alan Hughes. Direction is, for the most part, solid, though nothing to write home about, with tight action sequences worthy of Taken or one of the Bourne movies. Worthy of note, however, is that Hughes and company seem to focusing much more on the “drama” aspect of this crime-drama, to the point where it becomes more reminiscent a courtroom thriller on television than the cinematic crime-dramas, usually bursting at the seams with action, that we’ve been accustomed to. Starring, Mark Wahlberg, in the same role he’s been type cast for since day one, as the rough around the edges but ultimately lovable everyman Billy Taggart, as well as Russell Crowe portraying deliciously punchable baddie, Mayor Hostetler. Thankfully, Crowe proves that he can still act after his role in Le Mis, (which many took issue with, but I found to be perfectly serviceable) and steal every scene he’s in, even compared to Wahlberg’s own adequate but frankly bland performance. It is blandness, in many ways, that kills this otherwise quality production and which holds the power to make a potentially decent film bad and a potentially great film pretentious. But yes, I still think Joaquin Phoenix should win best actor. Historically, Hughes has struggled enormously with the concept of incorporating subtlety into his films. In Book of Eli, for instance, the Macguffin purported to have the power to save civilization from the brink of collapse amid the post-apocalyptic ruin turns out to be a literal copy of the Bible. Any particular message you were trying to drive home there, sir? Likewise, the two-party election which serves as the backdrop for most of the conflict in the film is so heavy handed that we’re beaten mercilessly about the head and shoulders over what side we’re supposed to be on. Now, this isn’t such a bad thing in itself, but when the only other positive thing the film has going for it is Crowe’s Koch-esque, villainous swagger, I start to worry. Additionally, the plot point that eventually contributed to the film’s downfall is Taggart’s motivation for not getting the hell out of Dodge when he had the chance. As the situation gradually worsens, Taggart is left with literally no reason to stay in the city as he no longer has relationship obligations nor financial interests aside from professional curiosity, which can only take you so far when people are shooting at you. Are we supposed to simply chalk it up to sheer obstinate stupidity? When the protagonist can just as easily make himself scarce without any real loss, something has gone wrong. I understand what Hughes was trying to do by shaking up the contemporary view of a crime drama, it’s just that it was a general failure. For all the things that the film does right, mainly with casting, I can’t invest myself in the the struggle onscreen when character motivation, which would have realistically added the necessarily crucial drama, are so muddled and incomprehensible. In the end, my faith in Crowe and Wahlberg remains justified, though my faith in Hughes’ team does not.